In need of some woodwork? Chances are you’ll want to hire a Shelton, CT carpenter. Carpenters work with all types of wood and can specialize in many different areas, including framing, finishing and custom-made furniture. Make sure you choose the right Shelton carpenter for your job by asking plenty of questions, viewing their past work and reading reviews. 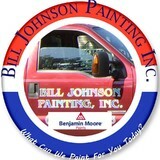 Bill Johnson Painting is a top quality, professional painting contractor. We are owner operated, specializing in residential interiors. We use the latest dustless sanding equipment. Our highly skilled painters can apply finishes using all types of spray equipment for trim and doors to fine finish applications for cabinets fireplace surrounds. We specialize in tray ceilings, 2-story foyers raised panel, custom interior finishes, wall repair and restoration. Bill Johnson Painting has a master carpenter that can make and install bookcases, mudroom benches, fireplace surrounds with flat screen t.v. mounts, cabinets, and just about anything else you can imagine! We can also repaint, restain or reface your current kitchen cabinets. We provide expert mold and trim installation. 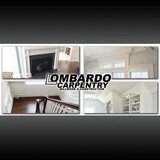 Lombardo Carpentry is a small family owned firm, bringing to the table over a decade of custom woodworking experience. We ensure only the highest level of craftsmanship and professionalism. Since the founding of Lombardo Carpentry Inc. in 2014, Pat Lombardo, owner and operator, has quickly generated an outstanding reputation for his craftsmanship and client satisfaction throughout Nassau and Suffolk County. The Stair Repair, LLC is a family owned business, based in Danbury, CT, and servicing all of CT, and into Westchester County. We have 20 years of experience in home and commercial building and carpentry, and can accommodate small home repairs up to large scale re-models and additions from design through completion, as well as, custom cabinetry and furniture projects. Westchester Carpentry provides home and property owners throughout Westchester County & Fairfield County with the finest carpentry services available. Our company has been built upon the foundation of our reputation. Today, Westchester Carpentry is known for our dedication to our customers and the quality of the work we complete. Our woodworking skills and home-grown professionalism set us apart from the competition. We care about our customers more than anything, which you will notice from the first call to our final meeting. We pride ourselves on our carpentry skills and craftsmanship. We’re a local, family-owned and operated business, with the ability to scale our offerings to meet the needs of jobs of all sizes. From small one-off tasks to custom built-ins designed from the ground up, we have the team to meet your vision. 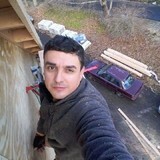 Dear Homeowners, My name is Rick DePalma Jr, owner and operator of Westchester Carpentry. I have spent my life working on the homes of my neighbors throughout Westchester County and Fairfield County. I love delivering solutions to my customers! That’s why I created Westchester Carpentry, I love what I do and you’ll never see my team cutting a corner on quality! Looking to have a larger job done? I can help! I am also a partner at Premier HD Construction, a local Westchester construction company focusing mainly on larger projects like kitchen renovations, bathroom renovation, home additions and renovation, new home construction, etc. You can count on me and my team to deliver the carpentry solution you need. Honest advice and estimates are always free! MY STORY: I have been in the woodworking industry for 30-plus years, and have assisted my clients with countless large and small custom residential projects. As a custom woodworker based out of New England, I have spent years developing my skillsets in historic home restoration. I understand that each home tells a story, and fully realize the unique balance of installing functional, new pieces without compromising the integrity of the home’s original design. I take pride in being able to bring unique features and the style of a home back to life. MY MISSION: My mission is simple: to create unique furniture, cabinets, and architectural features of the best quality and design by ensuring that I listen to my clients’ needs and vision. My business is centered on building relationships with my clients that are based upon the high standards of craftsmanship, trust, and reliability. MY PROCESS: A piece of fine furniture or millwork begins with the very highest quality to ensure the very best result. When building a commissioned piece of cabinetry or furniture, I select the most appropriate materials for the project, creating seamless fits, and ensuring that the beauty of the piece will stand the test of time. I only select materials from reliable sources whose products meet my standards. In addition to selecting materials from my reliable lumber providers, I will also pick up trees to custom saw into lumber and dry it to furniture grade material. I achieve quality results by balancing the use of age-old hand tools with the precision of modern machinery, and by adding details to turn functional furnishings and architectural elements into works of art. Pieces are sanded and finished in hand applied finishes. All forms of home improvement. Renovations, restorations, framing, kitchens, bathrooms, windows, siding, decks, roofing. Doyle Renovations, Inc. is a home Improvement company that specializes in the installation of crown molding and wainscoting. Through our finish carpentry and painting skills, we have turned many "ordinary" houses into beautiful homes. We are dedicated to superior quality at affordable prices. We believe that no room is truly finished until crown molding is installed. As it's name implies, it can make a room look regal. The best part of painting and up-grading your molding is that it is very affordable yet will increase the value of you home. Doyle Renovations works closely with interior designers and color specialists, so that your rooms are brought to their full potential. CT woodwork was established in 2015 by Corey Tighe to give back to the customer a unique piece of woodwork that stands out from the rest, and will last a lifetime. The furniture from the big box stores just doesn't survive in our everyday world. It truly is disposable furniture, and that is where CT woodwork comes in. Each piece I hand build is guaranteed to last a lifetime through the use of traditional joinery and integrity. Furniture should be cherished, not disposed to the curb every 5 years. 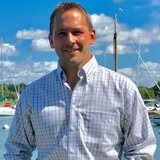 Prior to the business, I have worked for the past 10 years in the field at different shops building high-end furniture, kitchen cabinets, and commercial store displays. Through these experiences, I have gained multiple avenues of knowledge on cabinet and furniture construction. In 2009 after graduating high school, I attended Morrisville State College for wood products technology for an associates. I learned everything from the tree in the woods, milling the logs on the Woodmizer mill, performing different joinery techniques, and using multiple finishes. I then went back for an additional 2 years for entrepreneurship and small business management for a bachelors. Once I graduated in 2013 I already knew that in the near future I would officially start CT woodwork. I found my true passion and turned it into a business that I love every moment of it. At CT woodwork I use the best materials available and make sure every piece of wood is hand picked so that color, grain, and texture all match. When I have the chance, I try to use local materials right from Long Island, New York. I believe in combining old techniques with modern tools so that each piece that leaves CT woodwork will last a lifetime. And I treat your projects with the same respect as if it was going into my own home. MDM Trim specializes in transforming ordinary spaces into beautifully, handcrafted rooms. Adding crown molding is a decorative technique that can dramatically change the look of your home. Whether you are building a new house or remodeling an existing home, including upgrade trim and molding adds character and a level of detail that other techniques cannot match. Even a simple crown molding accompanied by a fresh coat of paint can work wonders for the feel of an otherwise plain room. Crown molding runs along the wall at the ceiling and come in a wide range of sizes and patterns. Crowns soften the transition from wall to ceiling while adding a distinctive look and charm to most rooms. Crown molding comes in MDF, Ultralite (lightweight MDF), Finger joint Pine (wood) and Polyurethane. We can also supply crown molding in Fir, Pine, Oak. The purpose of baseboard molding is to finish in the region where the wall meets the floor. It is best to select the baseboard that is proportional to the dimensions of the house. Baseboards should be chosen to work in harmony with your casings to finish and tie the room together. Baseboards are usually thinner than the casing. Our baseboard moldings are available in MDF, Ultralite (lightweight MDF), and Finger joint wood. We can also supply baseboard molding in Fir, Pine, Oak or any species, which you may desire. At End Grain Woodworks, we are dedicated to producing the highest quality work in order to ensure your complete satisfaction for years to come. We work closely with each customer to determine their needs and offer custom affordable solutions for each project. End Grain Woodworks have over 20 years experience working in hundreds of homes. We pride ourselves on our quality custom craftsmanship and the high standard of our finishes. We look forward to working with you on your next home improvement project. Let Our 40+ Years of Experience Transform Your Home! Are you ready to turn your dream home into a reality? If you’re tired of how your residential property looks and functions, call our new home construction and remodeling contractors. We’ll look over your property, discuss your ideas and create a design that showcases your personality and includes all the conveniences you want. The contractors at Michael Aiello Construction can manage a variety of remodeling and construction needs, including plumbing, electric, room additions and outdoor services in Nassau County. We take pride in being your premier building and renovating specialists capable of transforming your space by relying on superior skills and advanced techniques. Whether you want extra cabinet space in your kitchen or you're thinking of replacing your current shower with a clawfoot tub, you won’t regret choosing Michael Aiello Construction. Our contractors are dedicated to delivering exceptional services and unmatched customer care. We work hard to put your mind at ease by keeping you updated throughout the entire process. We serve all of Nassau County and the surrounding areas. We have completed projects across Bayville, Locust Valley, Mill Neck, Center Island, Brookville and Oyster Bay.